Spring is in the air and what a great time of year to be out and active in the fresh air. We are looking forward to seeing everyone so do come along and join us on Carrickbyrne Hill on March 31st. Bring family, friends and neighbours along – you will love it! 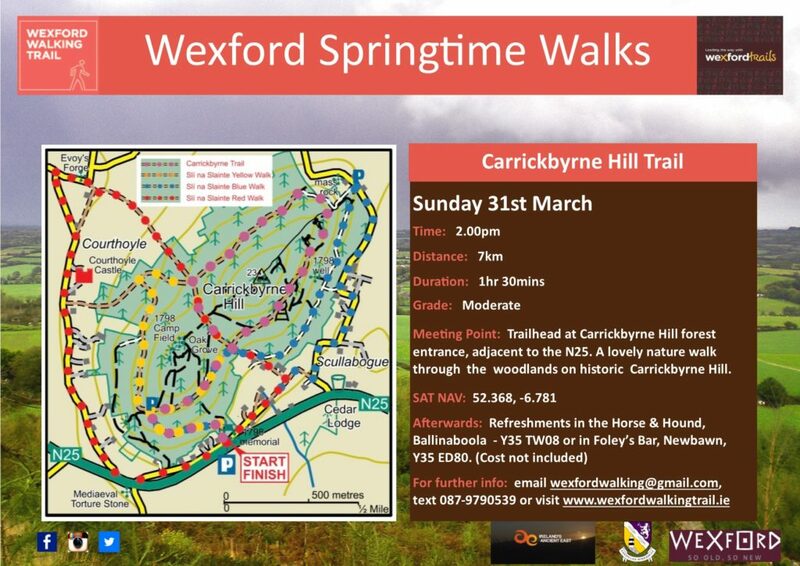 MEETING POINT: Trailhead at Carrickbyrne Hill forest entrance, adjacent to the N25.